Just about everywhere in the country, gasoline prices are going down, a nice bonus for motorists as we get into the summer driving season. The reason is two-fold. There haven't been any major incidents at oil refineries that would interfere with regional distribution of gasoline. And the price of oil, used to make gasoline, is dropping like a rock. "Oil plummeting to $44 a barrel, wholesale gas prices taking a beating," Tweeted Patrick DeHaan, senior petroleum analyst at GasBuddy. "We haven't seen the lowest gas prices of the summer!" The national average price of self-serve regular is just under $2.32 a gallon, according to the AAA Fuel Gauge Survey. That's down about four cents from a week ago and perhaps more noteworthy, is about a nickle a gallon less than this time a year ago. Throughout most of the winter and spring, prices at the pump have been significantly higher than year ago levels. That's because oil prices have been rising since last November, largely on OPEC's talk of production cuts, to reduce the supply of oil. But the latest evidence suggests that the cuts, in fact, were just talk. There is still a large supply of oil; U.S. shale producers have upped their rig count as the price of oil rose; and OPEC nations are still pumping at old rates. The latest shock to energy traders on Wall Street was a report this week showing a huge build up in U.S. gasoline stockpiles, in part because consumers are using less. According to the report from the Energy Information Administration (EIA), U.S. gasoline inventories are up a staggering 9% over the five-year average. Perhaps just as notable, gasoline demand is down 1.2%. As a result, AAA reports several states have seen double-digit price declines. In South Carolina, the statewide average price of gasoline has dipped below $2 a gallon for the first time in months. Only Hawaii and California have average gas prices above $3 a gallon. 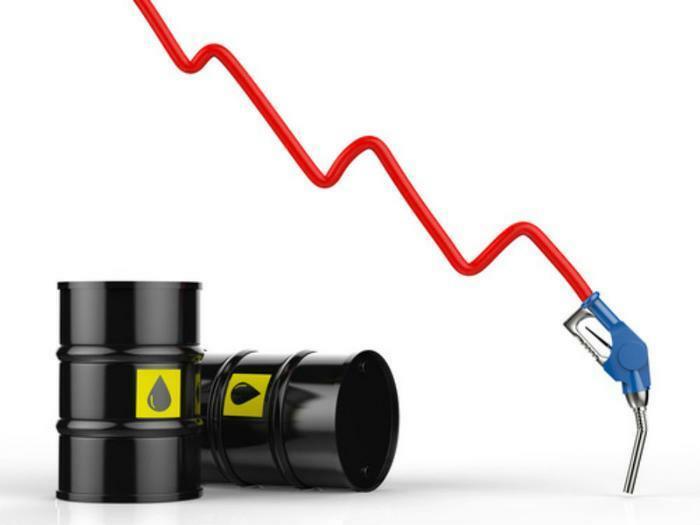 "If refiners continue to produce record amounts of gasoline and oversupply the market, consumers will reap the benefit and see slight fluctuations in gasoline prices in coming weeks," AAA predicts. AAA also notes California may see a slight increase in prices at the pump next month as the state raises its excise tax rate for gasoline.